We are so excited that so many of our families have opted to participate in "WBDC's Ugly Sweater Party" Disney Experience 2019 ! We are going to have THE BEST Ugly Christmas Sweater Party EVER! All families should have gotten a confirmation email with their information. Please double check your details and email back to confirm. We are so excited to post the 1st rehearsal schedule for WBDC’s Ugly Sweater Party! This schedule is detailed through May with save the dates for future rehearsals all the way through fall. The full detailed summer/fall rehearsal schedule and additional casting will be available in late April. Dancers will always need to be in dance clothes with hair tied back. Ballet Shoes/Freeforms should be worn for all rehearsals unless specially notated. Dancers need to bring a water bottle with them to rehearsals. Rehearsals move quickly (taking in consideration of ages/levels) and material is reviewed, but the teaching of choreography is not repeated. If your dancer needs to miss a rehearsal, they will want to meet up with other dancers in their piece BEFORE the next rehearsal to learn missed choreography. Rehearsal times do not include a warm-up. Please be sure to arrive 15 minutes prior to warm-up, etc. *We are looking for dancers that are really good and enjoy hula hooping! Stay for the audition if you are interested! The “Don’t Be a Jerk” rehearsal start time changed to accommodate missed early rehearsal! Save the date! These are mostly evening rehearsals. 6:30pm Performance of “WBDC’s Ugly Sweater Party 2019”! 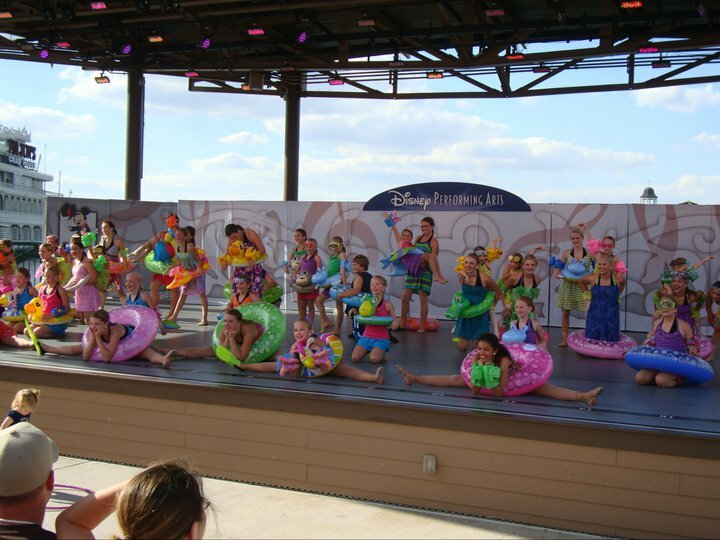 Pictures below represent our “Winter Wonderland”, “WBDC Rocks The World” and “WBDC’s Beach Ball” Disney Experience past shows.